Quick, question. Is there any way in Photo to print a set of four passport pictures at once? or two 5 x 7's, etc.? Do you mean all on one page? If so it would just mean creating a document the size for all 4. So if they are 5x7 the document would be 10x14 and have two on top and two pics below or a verticle strip would be 5x28. I hope I understood correctly? Yes, I meant to print the 4 passport photos in one page, and, in one shot. I don't know how to do it if "in one shot" means "in a single operation", but it isn't too onerous to load a picture, resize the canvas, duplicate the picture and reposition it, and then duplicate and reposition the two copies. The Resize Canvas dialog has the width and height linked by default, so you just need to type *2 in either of the boxes (with the top left or any other corner set as the anchor); when Snapping is turned on, the duplicates that you create will easily slide into the correct positions. The OP is using Photo, not Designer, so there are no artboards. if so - transfer the pictures to the Affinity designer. But I fail to understand / see the problem. Just put the 4 pictures on a page and print it. ... but I agree with you! Is there any macro/trick/method in Photo to print 4 passport pictures at once? Well. This is not a case, but suppose that I have a kiosk taking id photos. Transferring image to Designer seems un-elegant to me. Lightroom has that feature. Not only that one but many other templates, such as printing two 5 x 7 in one 8.5 * 11 sheet. Or to print a whole bunch of wallet-size, etc. For pros this is a common task. Thanks for sharing the macro recording video. In that very case a macro has more functionality then a simple template as the automatization factor with a macro is higher then with a sole template - basically a well designed macro may include a template and cover at the same time the rest of the task. 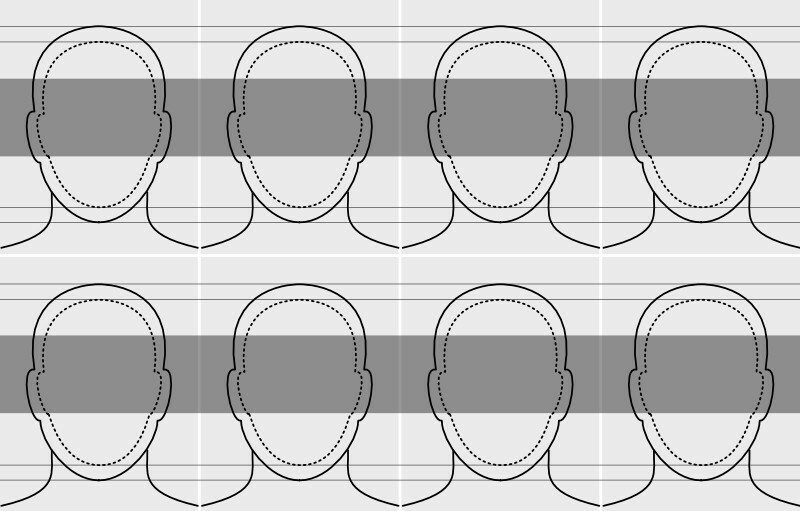 A bit late to the game but I needed a template for a UK passport - so I created this Designer/Photo template (attached to post) if it's of any use to anyone... All you need to do is 'Place' and resize your image to fit, duplicate and position, then drop each image into the relevant 'Row X Pos X' slot to mask it. Ps. Remember to switch off the guides layer before printing or exporting! If you're in the US, you can do this the simple way. The tool is on the rhs of the page "start photo tool"